Over 23 hours of video content delivered as streaming video OR on DVDs (USA formatted) recorded during a live workshop event. This Workshop has sold out every year at a cost of $5500 / person, but you can get this same information for a fraction of that cost. This program is available as streaming video viewable on computer, tablet or smart phone with a minimum 1MB/sec download speed, OR on DVDs (USA NTSC Format), or order the combo and get the streaming video for free when you buy the DVDs. Price shown is for Streaming Video Only. For Physical Media (16 DVDs), add $70. Over 23 hours of video content delivered on DVDs (USA formatted) recorded during a live workshop event. This program is available as streaming video viewable on computer, tablet or smart phone with a minimum 1MB/sec download speed, OR on DVDs (USA NTSC Format), or order the combo and get the streaming video for free when buy the DVDs. 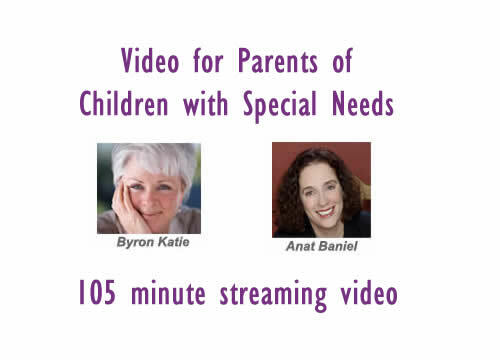 Anat Baniel, and the Practitioners she has trained, have helped thousands of children with autism, ADD/ADHD, cerebral palsy, down syndrome, genetic disorders, and undiagnosed developmental delays achieve breakthrough outcomes—physical, cognitive, emotional, and social. Doing ABM NeuroMovement with my child is like going to the place of possibilities, rather than living in a world of limitations. Recent neuroscience research continues to demonstrate the remarkable abilities of the brain to heal, learn, and surpass its own limitations, and achieve what was believed to be impossible—for all of us. 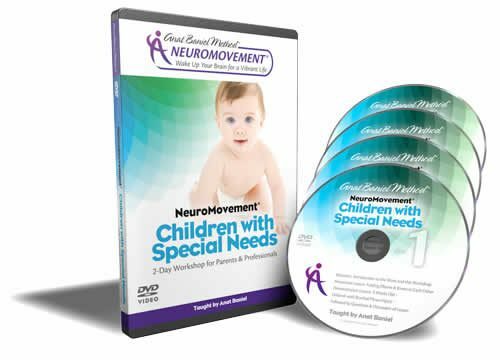 Anat Baniel Method® NeuroMovement® has concrete and easily available tools to connect and awaken these potentials in the brain of the child with special needs. 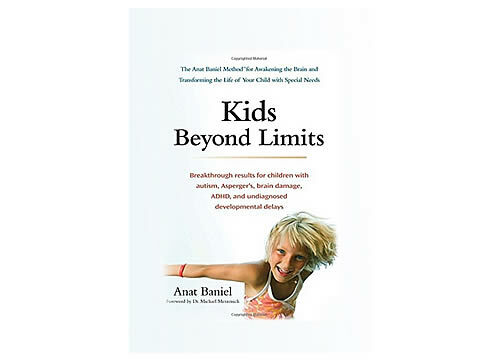 With the use of movement as the primary “language” of the brain, coupled with the 9 Essentials that Anat has defined, any parent, caregiver, or professional can help the child in ways that weren’t possible before. After teaching a series of sold-out live 5-day workshops, Anat Baniel, one of the foremost experts in movement and brain change, has now made this groundbreaking material available online and via DVD through her new program. This powerful program consists of 16 DVDS with over 23 hours of video. In this series of videos, you will witness the amazing transformations that are possible for children with special needs. You will learn the tools to wake up your child’s brain for potent learning that leads to breakthrough results for your child—physical, cognitive, emotional, and social. NeuroMovement® Lessons to reduce your stress and pain, experience firsthand the remarkable potential of your brain for positive change, and how you might bring it to your child. With these tools, you will experience a deeper connection with your child and new ways to guide her or him in forming new abilities and skills, physical, cognitive, emotional and social.